One of the simplest and most effective tool options – provided one has the financial means – for protecting state trust lands important for watershed protection is outright, fee-simple purchase. However, in the case of state trust lands, the requirements for disposition dictate that trust lands must be sold at auction to the highest bidder. This can entail significant risk to conservation buyers (whether they are government entities, NGOs, or private conservation buyers) competing with developers who could potentially be willing to exceed the appraised value of the parcel in the bidding process if they feel assured of realizing a significant enough profit. But acquisition, while an effective strategy, is also a tremendously expensive one. The reality is that sufficient resources are not available to protect all of the state trust lands, let alone private lands, that are important for watershed function for the Verde River. Nevertheless, for most conservation efforts, acquisition – either in fee simple or through purchase of easements – is often used strategically for some limited acreage of lands that cannot be protected through any other means. For acquisition strategies to be effective, funds to support the purchase of land or easements must be secured. This is often accomplished through leveraging government programs at the national, state, or regional level that provide matching dollars, through voter passage of bond measures, or other strategies to raise money to support environmental and open space goals. For state trust lands worthy of conservation, a program was established in 1996 – the Arizona Preserve Initiative (API) – that provided a mechanism for the conservation of state trust lands by allowing purchase of ecologically valuable lands at fair market value, but not at auction. A companion voter initiative approved the establishment of a fund to provide matching revenues to local governments for the purchase of trust lands under the API program. Another potential model to secure funds for acquisition purposes could be promotion of an open space or, in the case of the Verde River watershed, a watershed protection bond measure. The Arizona Preserve Initiative was established in 1996 by the Arizona State Legislature in response to keen interest by communities, NGOs, and the public in the conservation of open space and ecological values on state trust lands throughout the state. API established a conservation mechanism for state trust lands with high ecological or open space values where state or local governments, businesses, state land lessees, or citizen groups can petition the State Land Commissioner to reclassify state trust lands as “suitable for conservation purposes.” Conservation purposes are defined in the statute as “the protection of the natural assets of state trust land for the long-term benefit of the land, the beneficiaries, lessees, the public, and unique resources such as open space, scenic beauty, protected plants, wildlife, archaeology, and multiple use values.” Only lands within urban areas, within one mile of cities of 10,000 people or less, or within three miles of municipalities with populations greater than 10,000, are eligible for reclassification under the API program. The Arizona State Land Commissioner, under advisement from the Conservation Advisory Committee, may reclassify such lands as suitable for conservation purposes. The lands will then be made available for purchase at fair market value for their conservation values. However, any existing leases will continue until the end of their terms, even when the lands are transferred to a conservation buyer. State trust lands that are reclassified may also be withdrawn from sale or lease, at the Commissioner’s discretion, for up to five years while the petitioner prepares its plans and secures funds to purchase the property. By January 2012, 33 petitions for reclassification of lands had been submitted to the ASLD for over 120,000 acres under the API program. Of those, a small number were withdrawn or cancelled, 42,511 acres had been reclassified as suitable for conservation, and a remaining 36,000 await consideration. A total of 22 petitions were accepted, and the lands, totaling 16,343 acres, have been sold for conservation purposes. The ASLD, in its 2013 annual report, estimated that, since the inception of API, sales of trust lands for conservation purposes have added over $35 million in revenue to support the trust beneficiaries, and have conserved nearly 5,500 acres of open space. The API program has provided an important outlet for the conservation of state trust lands in Arizona. The matching fund program, approved by the voters to supplement the acquisition of trust lands for open space and natural preservation, has enabled many conservation sales that might not otherwise have happened. However, the future of the program remains uncertain. In 2004, a legal challenge was threatened against the Arizona State Land Department over the API program, claiming that the program violated the state’s constitutional trust obligations. Challengers criticized the ASLD for not securing “highest and best use” bids at auction for the parcels reclassified under API. 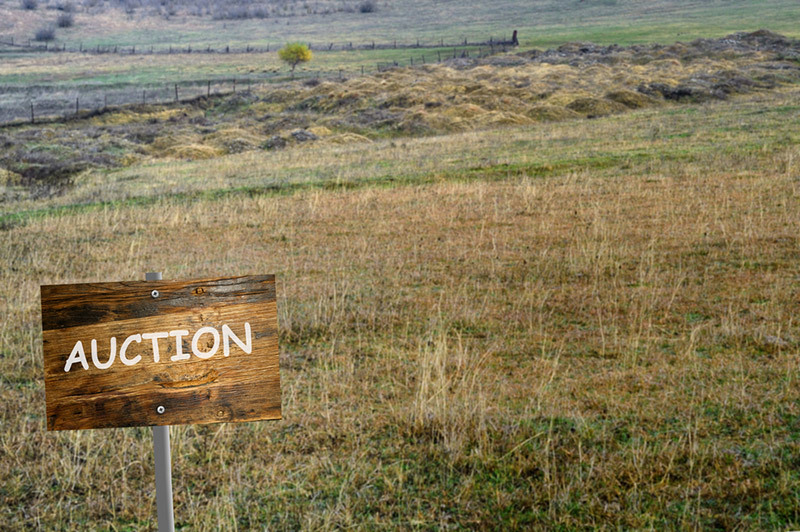 While sales of lands that have already been reclassified under API have continued, new petitions have been slow to come forward, and the ASLD is exercising extreme caution in applying the program. In communities throughout the nation, bond measures have been one of the most effective means of securing significant funding to support watershed protection, open space and parks, and other conservation goals. According to Trust for Public Land, in 2016 alone, there were 86 open space, conservation, and restoration bond measures on the ballot in communities throughout the U.S. Of those, 68 passed, earmarking $6.3 billion dollars for conservation at the local level. Arizona has a good track record for open space bond measure as well. In 2002, Coconino County votes approved a 1/8-cent sales tax to support acquisition of land for parks. In 2004, Pima County voters passed a measure to secure $164.3 million dollars to support implementation of the Pima County Sonoran Desert Conservation Plan (SDCP), a multi-species conservation plan with significant habitat conservation and restoration and open space components. In 2006, the bond measure was followed up by passage of a transportation plan that earmarked an additional $45 million for wildlife linkages supporting the SDCP. Voters in the City of Phoenix have, over the years, approved 10 separate major bond measures to fund parks, open space and outdoor recreation. The City of Scottsdale has also supported significant bond measure funding to protect open space. In 2000, voters in the City of Prescott approved a one-cent sales tax increase to support open space acquisition.